Olive Garden's motto is, "When you're here, you're family." And everyone's got that one family member who's a little NUTS, right? He asked for money . . . shouted profanities . . . threatened to beat up an employee . . . and also asked the guy if he was male or female below the belt. When cops got there, he was outside on a bench, shirtless . . . eating spaghetti with his hands. It's not clear if somebody gave it to him, or if he took it off someone's plate. But he smelled like booze. So yeah, he'd been drinking. 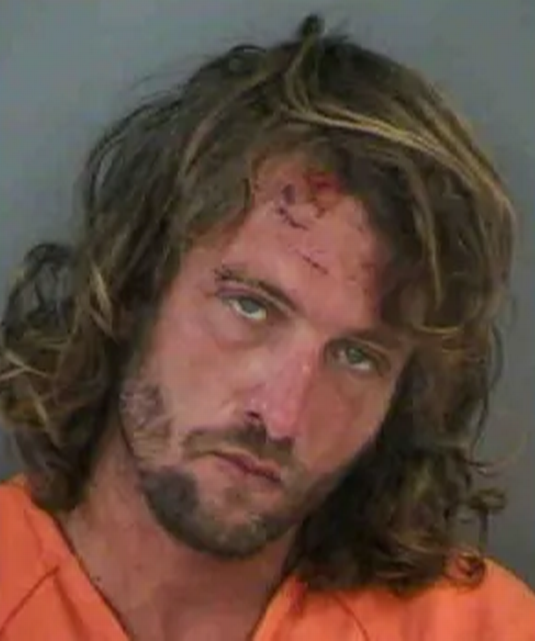 He had so much food on his face the cops made him wipe himself off with paper towels before they cuffed him. And in his mugshot, he's still got something on his forehead. But it's hard to tell if it's blood or spaghetti sauce. He's facing charges for disorderly intoxication.